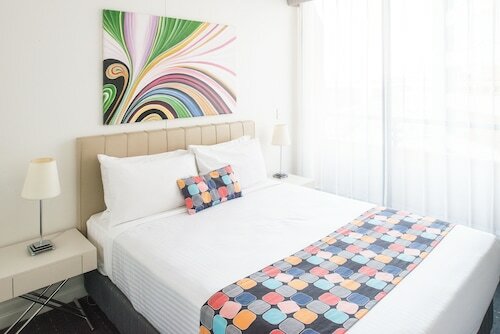 Located in the heart of The Rocks, this luxury aparthotel is within a 10-minute walk of Museum of Contemporary Art, The Rocks Markets, and Circular Quay. Sydney Observatory and Sydney Harbour Bridge are also within 15 minutes. Wynyard Station is 7 minutes by foot and Sydney Circular Quay Station is 8 minutes. 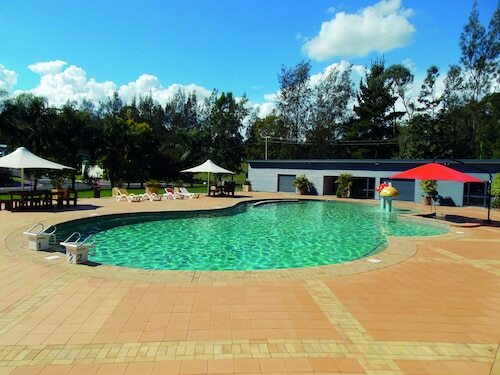 Situated in Vineyard, this campground is 0.2 mi (0.4 km) from Wollemi National Park and within 6 mi (10 km) of Rouse Hill House & Farm and Rouse Hill Village Centre. Hawkesbury Race Club and Norwest Business Park are also within 9 mi (15 km). Vineyard Station is 26 minutes by foot. 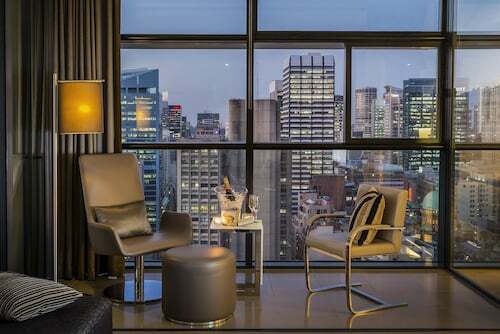 Located in Sydney Central Business District, this luxury apartment building is within a 10-minute walk of Australia Square, SEA LIFE Sydney Aquarium, and King Street Wharf. Pitt Street Mall and The Rocks Markets are also within 10 minutes. 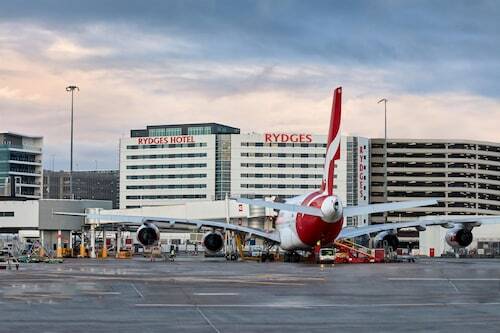 Wynyard Station is only a 2-minute walk and Sydney Circular Quay Station is 9 minutes. 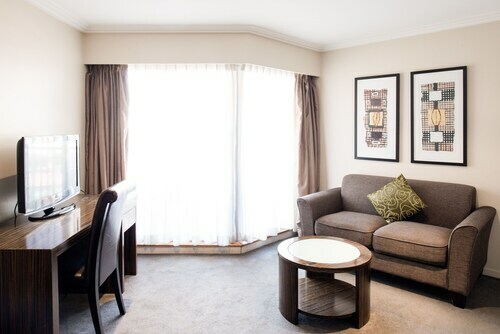 Located in Sydney Central Business District, this apartment building is within a 5-minute walk of Australian Museum and Hyde Park. Sydney Tower and Queen Victoria Building are also within 15 minutes. Museum Station is only a 3-minute walk and Town Hall Station is 8 minutes. 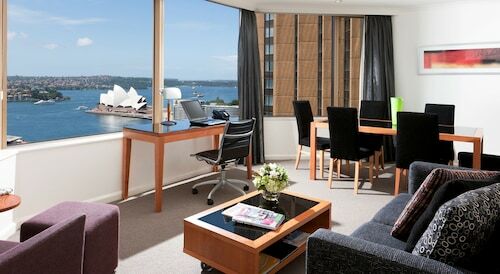 Three blocks from the restaurants, shops, and historical buildings of The Rocks, this George Street hotel is also within four blocks of Sydney Harbour, a train station, and many office towers. 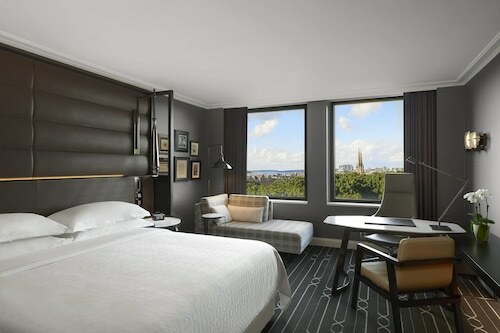 The hotel is about 1 kilometer (0.6 miles) from the Quay Overseas Passenger Cruise Terminal. 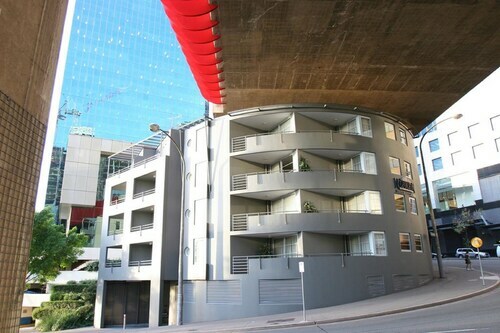 Located in the heart of McMahons Point, this apartment building is within a 10-minute walk of Walsh Bay and Luna Park. Circular Quay and Overseas Passenger Terminal are also within 2 mi (3 km). Sydney North Sydney Station is 14 minutes by foot and Sydney Circular Quay Station is 14 minutes. 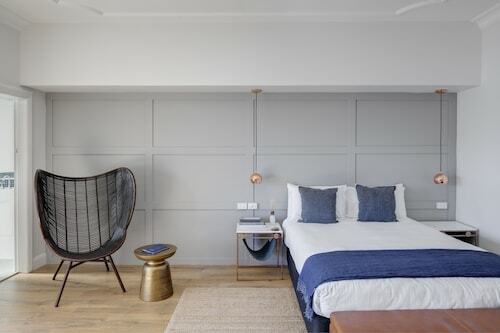 Located in the heart of Sydney, this luxury apartment building is within a 5-minute walk of Chinese Garden of Friendship and Chinatown Night Market. 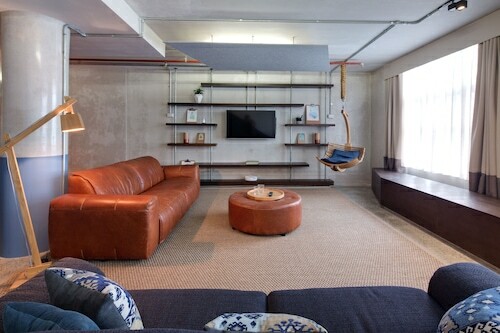 Paddy's Market and Powerhouse Museum are also within 10 minutes. Paddy's Markets Light Rail Station is only a 4-minute walk and Capitol Square Light Rail Station is 8 minutes. 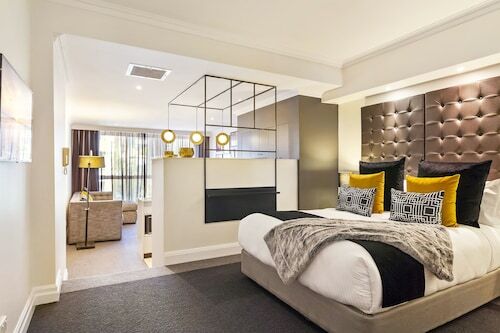 Located in Sydney Central Business District, this luxury aparthotel is within a 5-minute walk of Castlereagh Street and World Square Shopping Centre. Sydney Town Hall and Capitol Theatre are also within 10 minutes. Town Hall Station is only a 4-minute walk and Museum Station is 8 minutes. 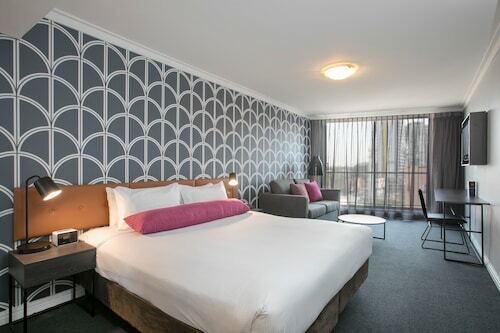 Located on the border of Sydney's historic Rocks area and central business district, this hotel is 1 block from the Museum of Contemporary Art and near Circular Quay and the Sydney Opera House. 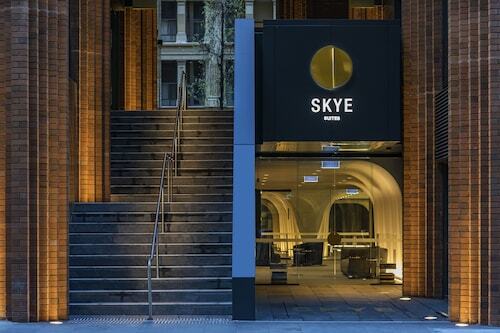 Located in Sydney Central Business District, this luxury apartment building is within a 5-minute walk of Castlereagh Street and Capitol Theatre. World Square Shopping Centre and Paddy's Market are also within 10 minutes. Capitol Square Light Rail Station is 6 minutes by foot and Museum Station is 6 minutes. 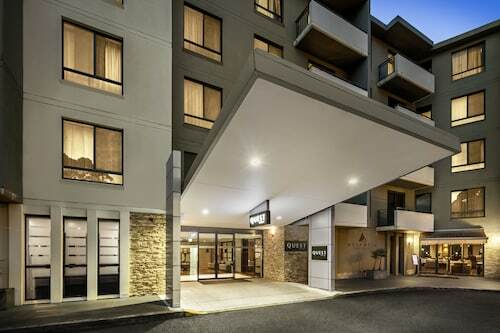 Situated in North Ryde, this apartment building is 2.9 mi (4.6 km) from Macquarie University and within 9 mi (15 km) of DFO Homebush and Sydney Showground. 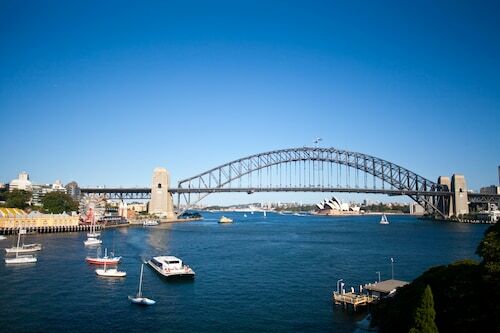 Sydney Harbour Bridge and Sydney Opera House are also within 9 mi (15 km). North Ryde Station is 8 minutes by foot. 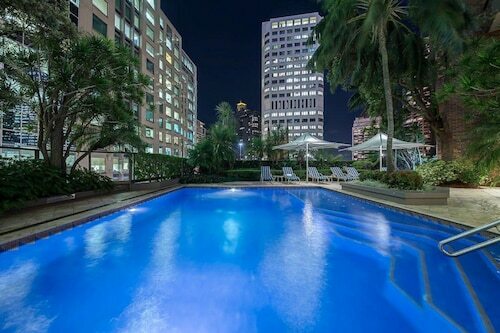 Located in Sydney Central Business District, this apartment building is within a 10-minute walk of Australia Square, SEA LIFE Sydney Aquarium, and King Street Wharf. Sydney Tower and Sydney Town Hall are also within 15 minutes. Wynyard Station is only a 3-minute walk and Martin Place Station is 13 minutes. 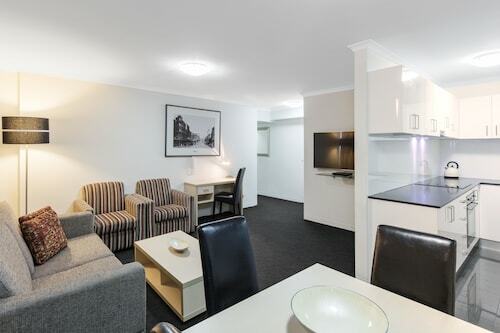 Situated near the airport, this apartment building is within a 15-minute walk of Woolloomooloo Wharf, St Vincent’s Hospital, and Crown Street. Royal Botanic Gardens and Hyde Park are also within 1 mi (2 km). 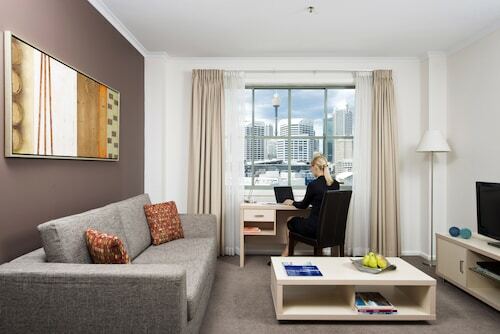 Kings Cross Station is only a 3-minute walk and Edgecliff Station is 20 minutes.